Hypnotherapy is a common therapy used to enter a relaxed state and become open to suggestions. Your conscious thoughts are controlled by your subconscious thoughts. Any anxiety felt when driving can be vastly reduced or eliminated by feeding your subconscious positive messages. A technique such as affirmations convinces your subconscious mind through repetition. It is important for you to remember that you remain in full control unlike what you may have seen in a stage/television show. We have taken some of the top questions asked and answered them. Why would someone choose hypnotherapy to help with their theory? Hypnotherapy is excellent at enhancing performance under pressure. Through the power of suggestions, clients can become calmer and feel more composed even under exam conditions. The aim is to install a sense of confidence when the moment arises. This can involve going over previous examples of composed performance, enhancing recall and weakening negative beliefs that may hinder success. Self-hypnosis also plays a part here. Teaching clients to self-hypnotise in a couple of minutes. This tool has been demonstrated to reduce anxiety and stress levels at that moment, fostering confidence and optimism. This allows the client to self-calm before approaching the theory test thus increasing the chance of passing. Why would they choose to use hypnotherapy for their practical test? Hypnosis can be viewed as creating an enhanced state of learning. When in this state of mind, we can achieve many things. Mental rehearsal-a tool frequently used by athletes is particularly effective too. The act of visualising manoeuvres such as mental rehearsing speeds up the learning process which aids our ability to remain calm. Post-hypnotic suggestion is a useful tool in fostering anxiety-free states; replacing fear with confidence. For some, hypnotic regression can be useful especially after having failed a test previously and now feels anxious at the notion of a re-take. Regressing back to that moment and re-framing it results in a new perspective of the events thus resulting in freedom of the fear and worry. Many hypnotherapists offer a free initial consultation where you can see if you and the therapist are the right fit, and that hypnotherapy is right for you. When you decide to go ahead, a normal session will involve building a case history. Your hypnotherapist will ask you a series of questions to determine where your problem lies. You may be asked about your state of mind when having a lesson or when taking exams, about previous anxieties and worries. This information will give the hypnotherapist the information required to target the right areas. From there, you’ll be guided into a state of relaxation, inner absorption known as hypnosis. Your hypnotherapist will explain specific things to you, offering suggestions or describing scenes to visualise, before awaking you at the end of the session. The experience has been described as profound daydreaming; an enjoyable experience but you remain in complete control through ought. Typically, the number of sessions reflects on how well you absorb the suggestions. Commonly, 3-5 sessions are adequate with a top-up session a month or so later to monitor progress. 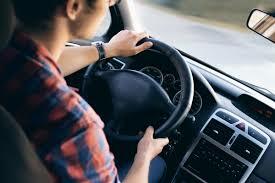 Choosing your hypnotherapist is similar to choosing your driving instructor-you need to gel for it to work. Certainly, ask the logical; have you worked with driver anxieties, what is your success rate and how many sessions? Your main criteria should be to find someone with whom you can easily build rapport with. It can be useful to ask if there are things/methods/treatments/techniques that they would recommend that can improve results. Hypnotherapy is complimented well by the likes of meditation, self-hypnosis, and yoga. -Basically, anything that aids relaxation, focus, and self-control. Affirmations are particularly good, especially if used in conjunction with self-hypnosis. Can you provide an example of your work? Just this month (August) I received the news that one of my clients passed her driving test with only two minors. As a mum of young children driving had always been a life goal for her but after several attempts, she had all but given up. She described to me how even before getting in the car with the examiner she would clam up and her mind would go blank. It is not that she wasn’t competent, she was, and proudly stated so, it was her anxieties of failing yet again that set her back. To combat this, we used visualisation techniques to reinforce how successful her lessons had been. We used direct suggestion to remind her -on an emotional level – that this test was a unique experience, and that her previous tests did not form a template for the future. We practiced relaxation techniques and self-hypnosis. I gave her a CD to play at night before sleep reinforcing these techniques. This lady attended three sessions before coming to tell me that she had indeed done it. She was the very proud owner of a driving license. She left excited to venture onto buying her very own car and taking to the roads without L plates. For more information contact Chris Fleet who will be happy to discuss your needs.